A competent person examine each working place for conditions that may adversely affect the safety or health of miners. The working place must be examined at least once each shift, before work begins or as miners begin work in that place. Promptly initiate appropriate corrective action when adverse conditions are found. Promptly notify miners in affected areas if adverse conditions are found and not corrected before miners are potentially exposed. Withdraw all persons from affected areas when alerted to any conditions that may present an imminent danger, until the danger is abated. – The date when the described condition is corrected. Make the examination record available to MSHA and miners’ representatives, with a copy provided upon request. 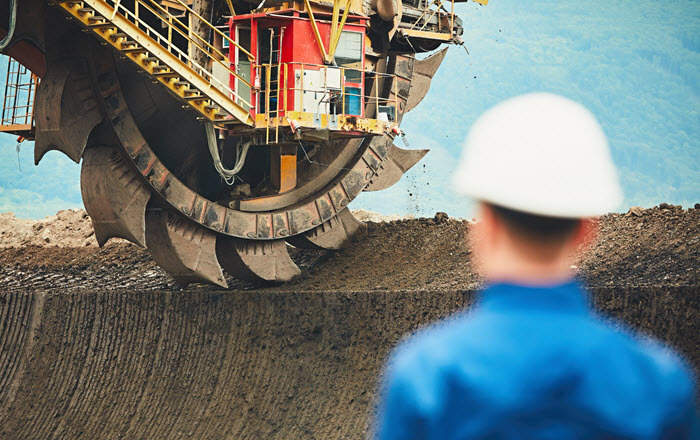 Starting in May, MSHA will hold public meetings around the country to inform and educate the mining community on the requirements of the final rule. Scheduled locations include: Bloomington, Ill., Seattle, Birmingham, Ala., Pittsburgh, Reno, Dallas and Denver. See the full meeting schedule. Read an evaluation of the new rule from EHS Today. 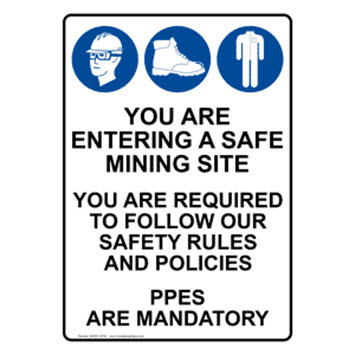 Browse mine safety signs and labels at ComplianceSigns.com. Work places in mines must be examined at least once each shift, before work begins or as miners begin work in that place. Use this easy-to-read mine safety sign to make your safety policies known to employees, visitors and inspectors.